Ice cream truck jing-a-linging Nine phones ringing, ten horns beeping In the stroller Baby's sleeping. Will anything wake up that snoozing baby? Follow the red stroller through the cacophony of the city and find out! 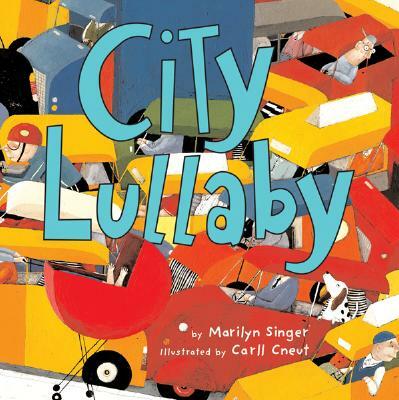 Rhythm, rhyme, and lots of noisy onomatopoeia from premier children's poet Marilyn Singer, coupled with chaotic, colorful art from an acclaimed European illustrator, make this a rowdy read-aloud, with plenty of things to find and count on every spread.